Oxford Public International Law is a comprehensive, single location providing integrated access across Oxford's international law services, bringing you one step closer to the perfect research solution. 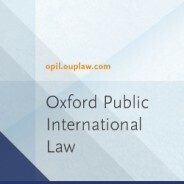 Oxford Reports on International Law, the Max Planck Encyclopedia of Public International Law and Oxford Scholarly Authorities on International Law are ground-breaking online resources working to speed up research and provide easy access to authoritative content, essential for anyone working in international law. On August 23rd the United Nations observes the International Day for the Remembrance of the Slave Trade and its Abolition. 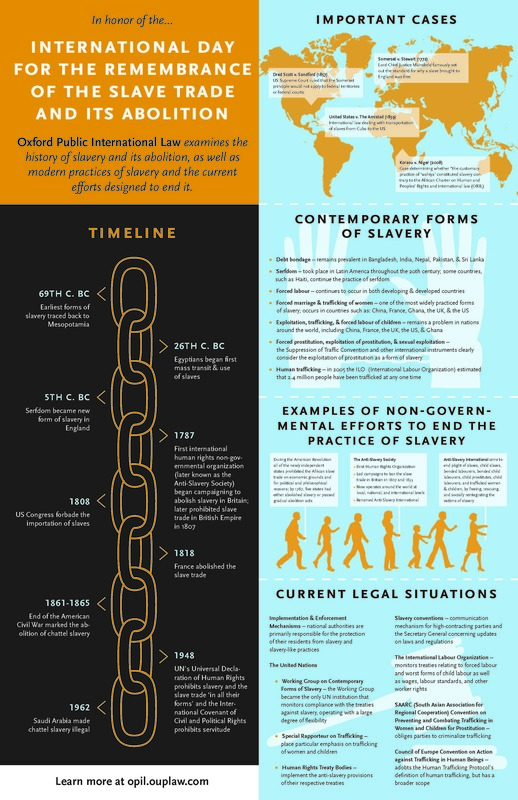 In honor of this day, we examine the history of slavery and its abolition, and shed light on contemporary slavery practices. View the infographic below to learn more, or open it as a PDF to click through to freely available content from across our public international law resources.